You can never have too much of a good thing, especially when it comes to shoes. Want to be more specific? 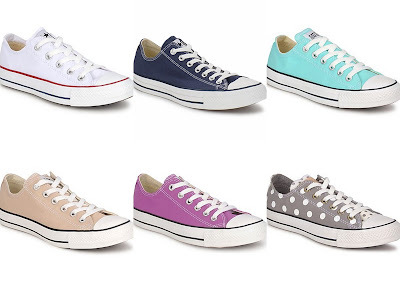 You can never have too many pairs of Converse trainers. Since coming across the below image on We Heart It, I’ve rediscovered a love for Converse, and I’ve dug my Pink All Star Core High Tops out which I am practically living in when I’m not at work. There’s something special about a pair of converse when added to an outfit, it can instantly toughen up a floral dress, or make a more formal dress look more casual. I’ve decided since seeing these studded white All Star Core Ox trainers, I’m going to have to invest in some studs and do a spot of DIY. That should be a challenge within itself as I have no co-ordination and I used to be scared of the tools in Design and Technology at Comprehensive School. However I will risk studding my fingers/hands in order to look good- have you seen the extent us women have to go to, to look good. So I’ve put together my must have Converse- those which will look fabulous with any outfit… and will look even better studded. Top- All Star Ox White and Marine £34, Seasonal Ox Turquoise £53. 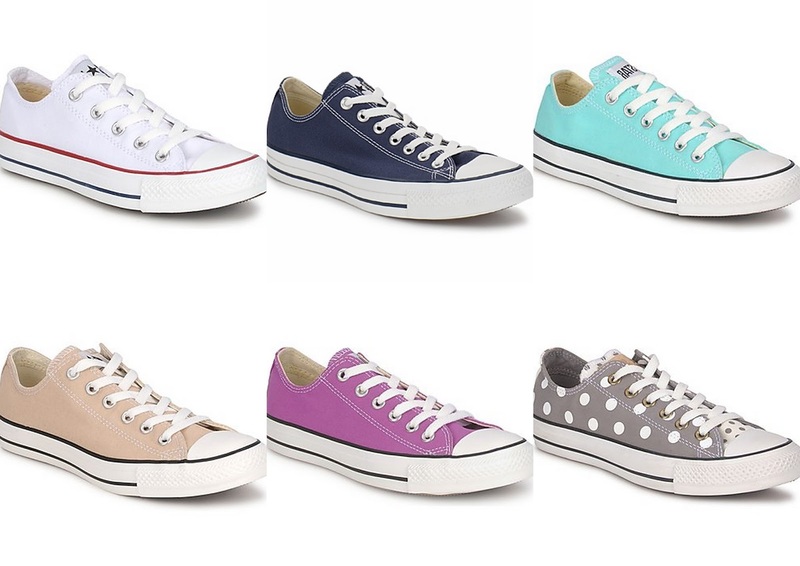 Bottom- Season Ox Beige and Purple £53, All Star Ox Polka Dot £42 (note link is for the navy version- beige is sold out). All images via Spartoo. Have you ever done any DIY studding? 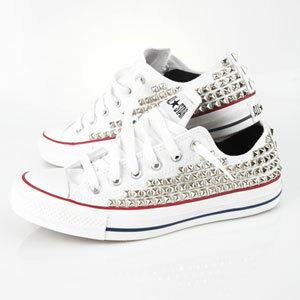 or if you want to stud my Converse for me... I'll pay you in cups of tea..
OMG I WANT TO DO THE SAME!! I love Converse and I really need to get some studs and do the same! Hell Yes - I'm totally going to stud the life out of my converse.